Y’all, I’m so excited to have completed voicing my first series! 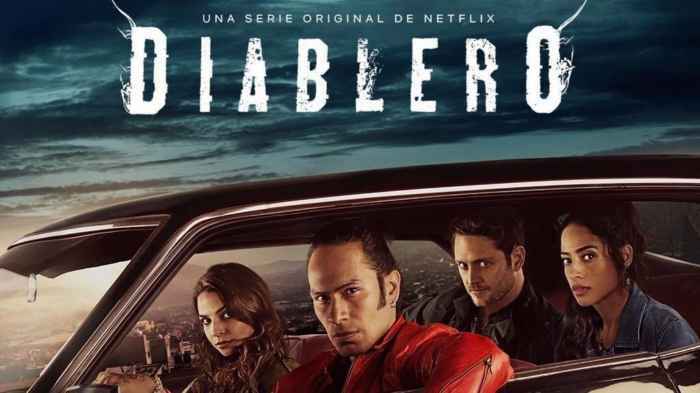 I had the honor of voicing the Netflix series Diablero. So they shot everything in Spanish as it was developed for Netflix Latino in Mexico with incredible Mexican and latino actors. I play the role of Nancy, played by the uber talented Gissele Kuri. I got in the booth and watched her first clip and was blown away. Let’s just say she set the bar, HIGH! She’s such an incredible artist! When a project is in the final editing stages, they go through and look at sound. You may or may not need to invite the actors in to do ADR (Automated Dialogue Replacement) to ensure the best sound possible. Sometimes the mic might have been too covered with a shirt, the boom didn’t get you, etc. For this series, they decided instead of just putting English subtitles/captions for an English viewing audience, they would do the English dubbing! And so I auditioned, got a callback and was cast! It was such a great experience of watching Gissele as Nancy and really understanding Nancy and where she was coming from. I had an intuitive director, Samantha, who really helped me find my voice. She helped me find my own voice and my own character while still honoring the story and matching Gissele’s work as Nancy. Anyway, I am so glad I have the time to watch the series! I only ever watched it in small clips in Spanish (I’m fluent!) and was so impressed when I watched the pilot of the English dubbed version. The original actors are INSANELY TALENTED artists, I was so taken with the voiceover actors. I know they are all so talented, and Samantha helped all of us honor each actor and the story.